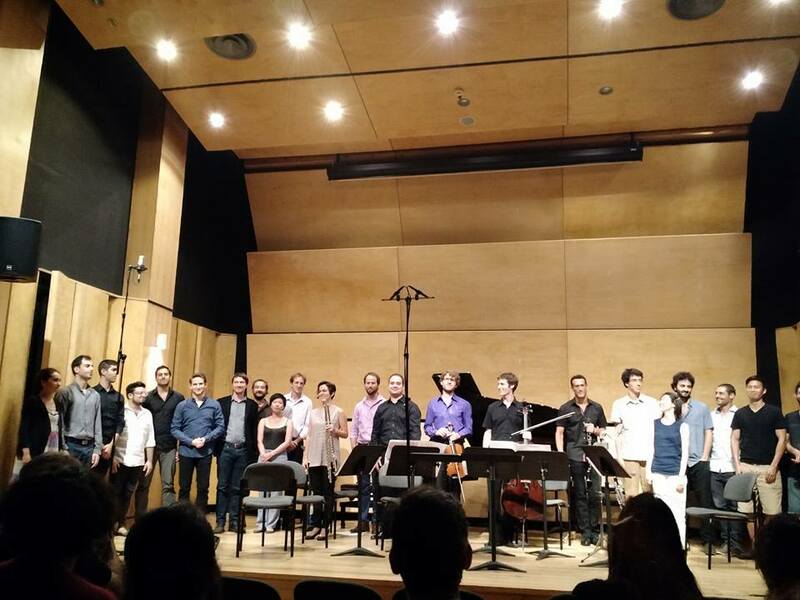 Curtain call with CEME composers and Ensemble Meitar. It’s been just a few days since CEME ended, but I am now en route home with stops in Reykjavik, London, and New York following an incredible summer! The final leg of this journey took me to Tel Aviv, where I’ve spent the last week with the Meitar Ensemble preparing Uberrima Fides (2015) for its premiere just a few nights ago. The rehearsals and time spent interacting with such expert players and mentors was nothing shy of life changing. I had the great pleasure — well, let’s be real: honor — of working with composers Philippe Leroux and Fabián Panisello during my stay here, as well as attending masterclasses and lectures by the conductors Pierre-André Valade and Yuval Zorn, new music vocalist Noa Frenkel, and resident members of Ensemble Modern. I have also met the most diverse and welcoming group of composers, whose music really raises the bar. Dress rehearsal for ‘Uberrima Fides.” Thanks for the photo, Christina Athinodorou! 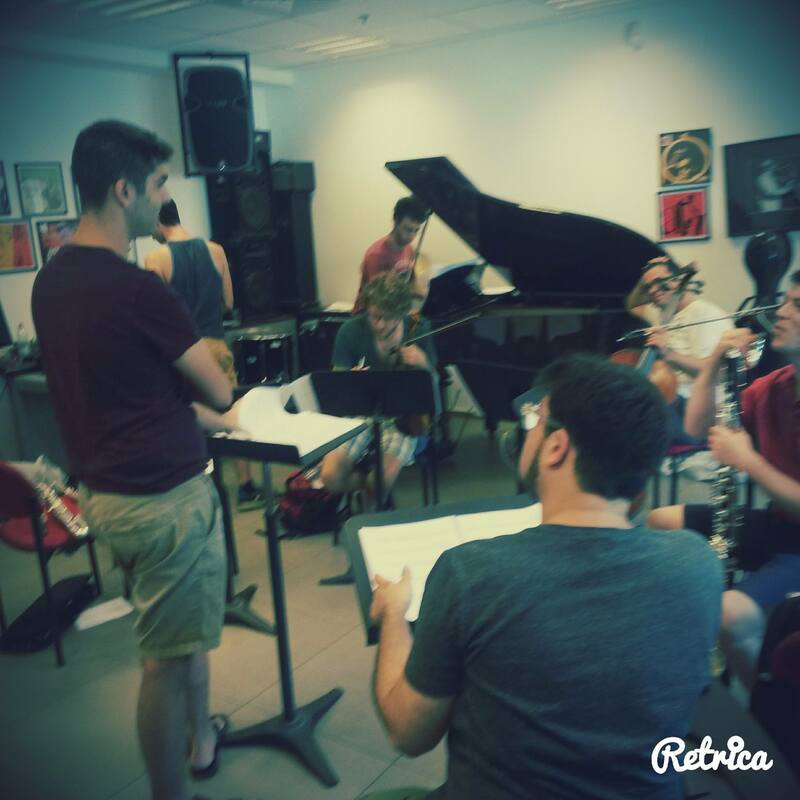 How is it that so many brilliant minds can be huddled here everyday on this unsuspecting street corner, in the Israeli Conservatory of Music, hosting an international new music festival in an otherwise quiet building not far from the beach? We didn’t get a chance to go swimming, once again, until after midnight on the last night of the festival — so much action persisted until then! Amazing performances all around, in one of the most welcoming and vibrant cities I’ve ever been to. I really, really need to come visit again.